Featuring The Cult's Chris Wyse on bass and vocals, Owl is a power trio getting a ton of love in Noisecreep's California office as of late. Our advance copy of the group's new album, The Right Thing, has proved perfect for those moments when we need to air guitar and drum in the middle of the workday. If you dig no-nonsense hard rock with stadium-sized hooks, Owl is for you. 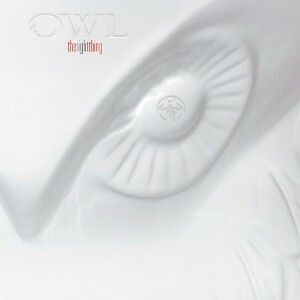 Noisecreep has partnered with Owl to bring you the exclusive premiere of The Right Thing album. "The Right Thing is the product of drummer Dan Dinsmore, guitarist Jason Achilles Mezilis and me being honest and growing together as a band," says Wyse. "It's an album with lots of experimental music mixed with catchy, edgy songs. We were able to capture great moments in the studio where the whole sound of the band and the vibe of the record become a thing unto itself. On various tracks, there's a bowline from my upright bass leading a song off or a drum solo leading, while elsewhere Jason showcases some piano as well as ripping on guitar, and we also added bagpipes to a song. We do all this still with the song as the focus. Enjoy!" The Right Thing hits stores tomorrow, April 9.